Hello my name is Sam and I am a nerd. I have been in the closet for years but I am ready to come out. Because of the many brave nerds who came before me and have paved the way by their courage and their financial and commercial success, I too can step into the light. With trail blazers like Bill Gates, Stephen Hawking, and Albert Einstein, being a nerd is no longer a thing of derision, but a title of honor. Hidden Figures takes place in the early sixties at Nasa where nerds roamed free and held positions of honor. The three heroines of our story had to contend with being black and women in a culture and a society that could be cruel to both. 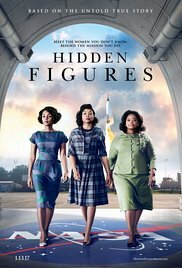 Hidden Figures is the true story of three black women trying to succeed in a world dominated by white men. These women prevail against overwhelming opposition with a quiet grace and determination. Sexism and racism were alive and thriving at Nasa in the sixties, but even these long held prejudices were no match for the know-it-all nerd ethic of being right above all else. To nerds, rationality and getting tasks accomplished in the most efficient and elegant way possible, will eventually trounce the lesser irrational hostilities directed at their fellow nerds. Thanks for your post. One more thing is the fact that personal states have their own legal guidelines in which have an effect on home owners, which makes it extremely tough for that the legislature to create a fresh set of rules concerning foreclosures about householders. The catch is that a point out has got personal regulations which may have interaction in an adverse way in terms of foreclosures plans.